When it comes to your marketing strategy, you shouldn’t be trying to reinvent the wheel. Companies have already gone through trial by fire to figure out what drives traffic and gets conversions. So, why not just copy what works for them? iSpionage reveals what other companies are doing to increase conversions, generate leads, and drive traffic. 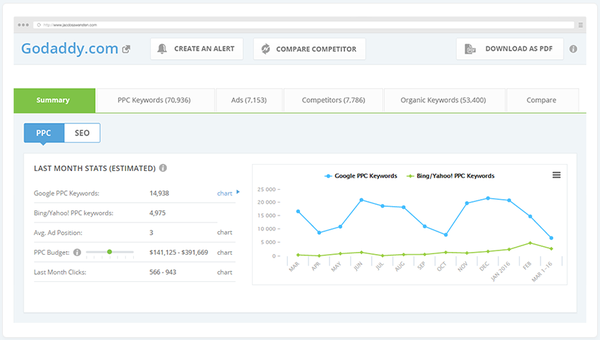 Competitor PPC keyword lists so you can easily find out what the most profitable keywords your competitors are ranking for. Money your competitors spent on adwords per month to determine if you should adjust your spending. Who your top competitors are using data from Google, Bing, and Yahoo. Effective competitor ads to help you take the guesswork out of running ads that gain the most traffic. Normally, if you wanted this kind of competitor information, you would have to hire a PI or pay iSpionage $348 per year. 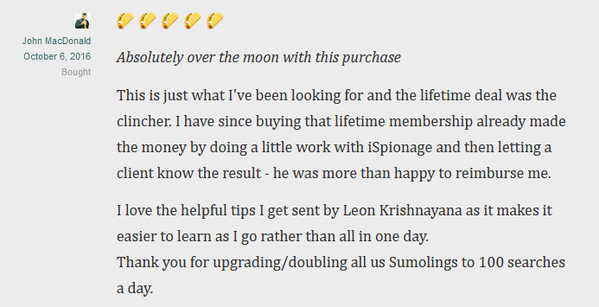 But today, iSpionage is ready to give Sumolings lifetime access to competitor info for only $49! Click here for lifetime access to iSpionage! Other spy software options usually have one focus: either keywords, ads, or landing pages. This is where iSpionage stands out. iSpionage focuses on the entire funnel, offering you comprehensive access to your competitors’ strategy. 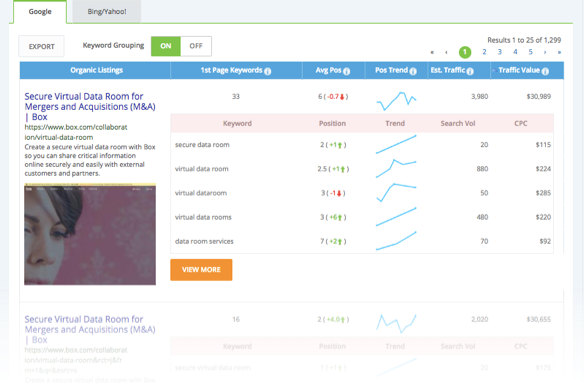 iSpionage also lets you sort keyword effectiveness and identify overlaps between your competition, which is extremely valuable to any marketing team or professional. You’ve been wondering what the competition has been doing to be successful. Well, now’s your chance to find out! Start using iSpionage to get a leg up on the competition!